I love a red church door. 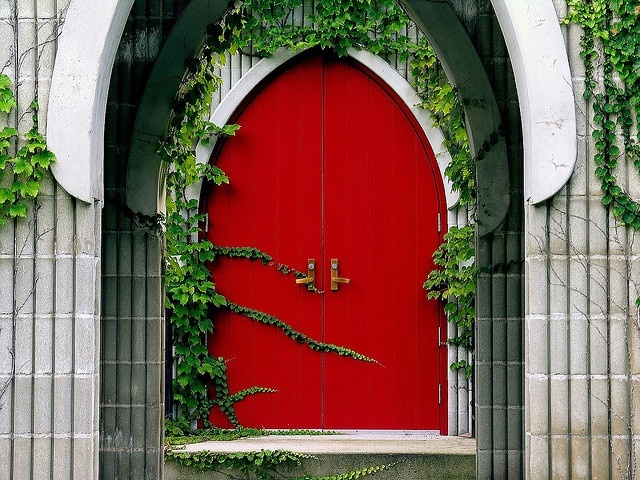 In the more traditional religious denominations, a red church door was considered a symbol of entering into worship, into the presence of God, through the blood of Christ, the sacrificial lamb of God. The church has historically been a place of refuge from the evils of the world both real and perceived. It remains so today. I urge you to find your red doors. The church is not perfect but it is a place of peace and a refuge from the highs and lows of life. It is a place to share joy, peace and love. It is a place of reflection. Most of all, through those red doors you will find God waiting to wrap you in love and spread His never-ending grace upon your weary soul.